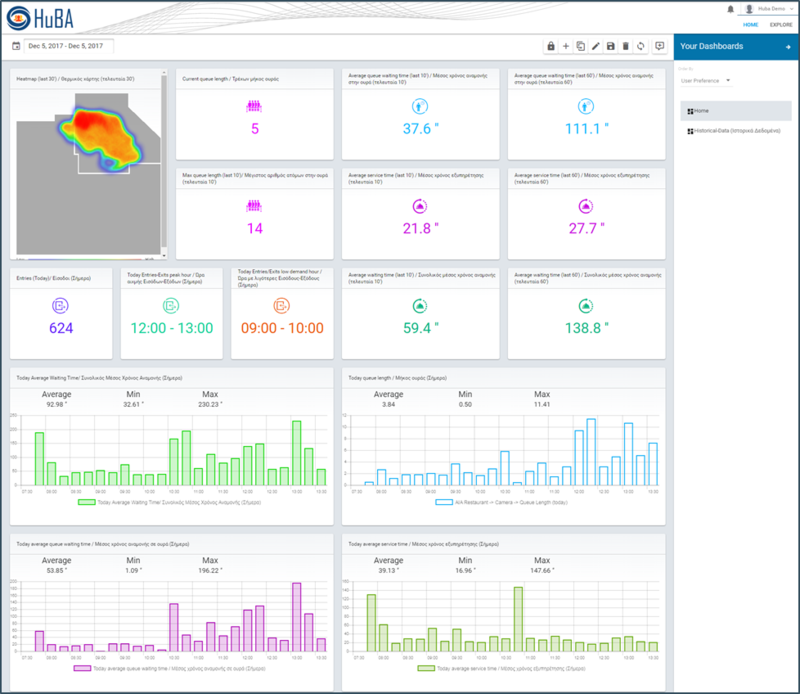 The Pragma.IoT platform was used to store, access and visualize live and historical data originating by the HuBA (Human Behavior Analysis) toolkit developed by a group of researchers at the Information Technologies Institute of the Centre for Research & Technology - Hellas. Aiming at exploring and promoting digital innovation and young entrepreneurship in the air-transport and tourism sector, the Athens International Airport, in cooperation with the Economic University of Athens and the scientific support of the Laboratory of Electronic Commerce and Business, launched a competition under the title: "THE DIGITAL GATE: Airport Innovation Challenge – Transforming the Airport Environment"
HuBA (Human Behavior Analysis) toolkit is a novel and efficient tool for enterprises and organizations that need an effective and robust solution for the analysis of human presence and behavior. It is based on the real-time detection, tracking and spatio-temporal analysis of human flows extracted by privacy-preserving depth cameras. It has a lot of applications such as people counting, dynamic queue analysis and management, automatic building evacuation management etc. It can also be connected with third party systems, such as energy efficiency systems, building optimization, loyalty systems, ERPs, digital signage, etc., providing additional information, that is usually overlooked and is valuable, for the optimal analysis of building performance. 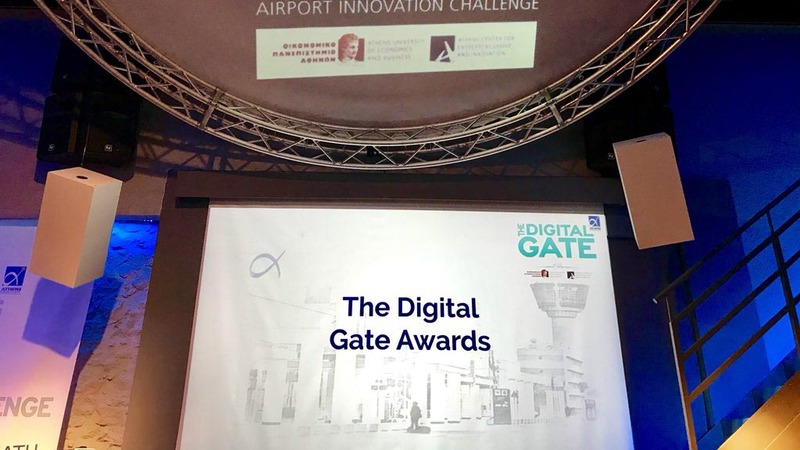 HuBA has been installed at the Athens International Airport (AIA) premises for the Digital Gate challenge. The installation had the opportunity to demonstrate the advantages of the solution at a demanding environment for queue management. It revealed great knowledge for the queues, the waiting times, the service times, as well as the main areas of interest of the location it was installed. This knowledge can lead to the optimization of the waiting times for the customers and the human resources of the enterprise. The Pragma-IoT platform was used to store all data originating by the privacy-preserving depth cameras and visualize it at real-time in a coherent way. Users with different permissions can access different dashboards containing a number of data visualizations. They can view information about entries/exits, occupancy, average waiting times at queues, average service times, peak and low demand hours, as well as heat-maps indicating the areas of interest. 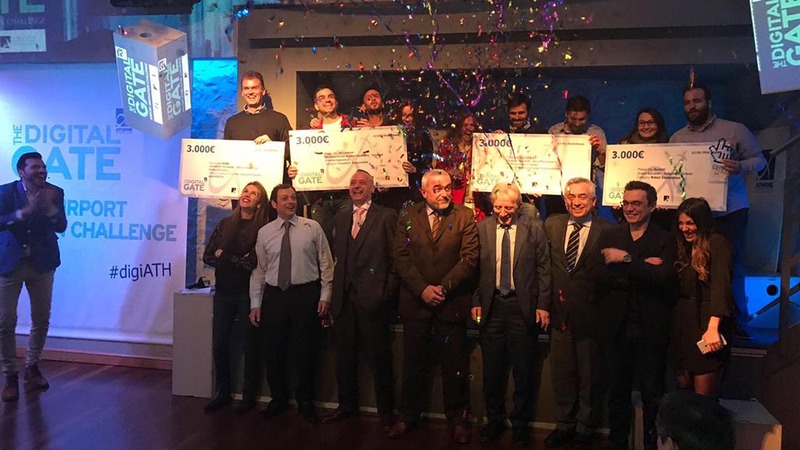 HuBA was selected, among 162 participants, to receive the Special Award for Innovative Technology Stemming from R&D Activities. 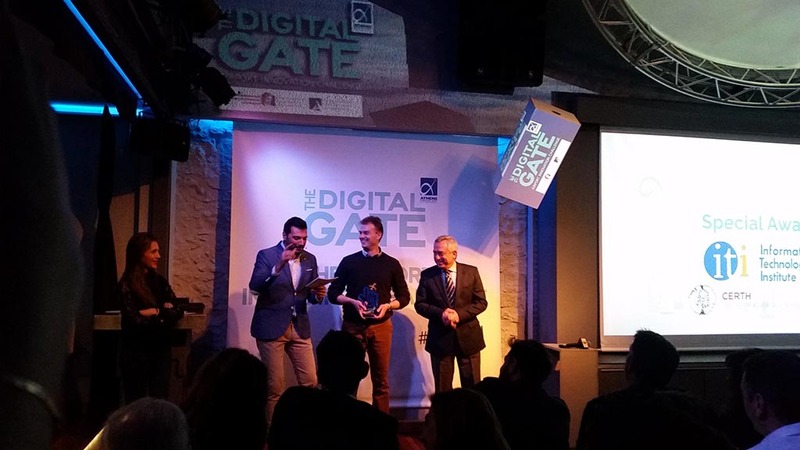 The award was presented at a ceremony held by the "Digital Gate Innovation Challenge 2017" Organizing Committee on February 12, 2018 and it was accompanied with a 3.000€ prize, the possibility of extending the pilot's duration for one more year in the airport environment, as well as advisory guidance and support in preparation for funding.